This large, 10 oz. flask measures nearly 8 inches tall. 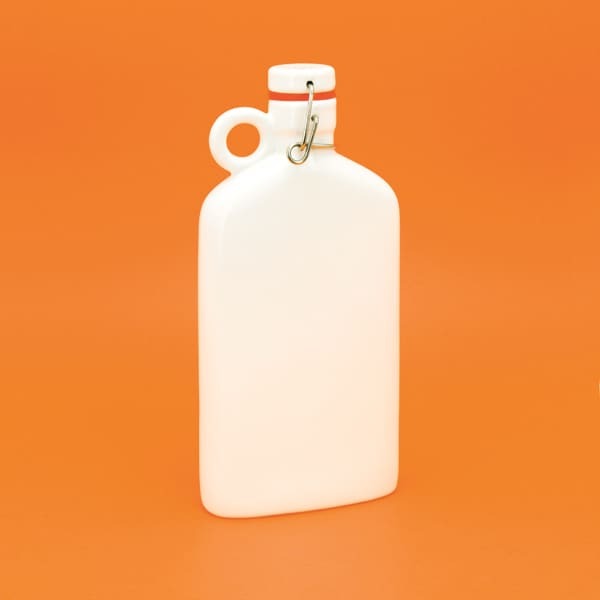 Inspired by the classic Brooklyn growler, the porcelain ceramic flask is fashionably old-fashioned, with a body-hugging curve, traditional flip-top cap, and finger handle. The levered porcelain stopper features a silicone gasket to keep the contents fresh (and fizzy, if need be). Hand-washing is recommended.